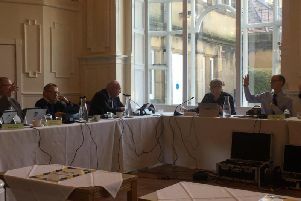 The Care Quality Commission, the independent watchdog for health services in the UK, has told nine Harrogate heathcare providers that they are not good enough. The independent watchdog for health services in the UK has told nine Harrogate heathcare providers that they are not good enough. The Care Quality Commission inspects and ensures health services across the UK meet certain standards in regards to how safe, caring, effective and responsive they are, as well as examining the leadership behind them. In July this year, the CQC published the reports of dozens of care providers across the Harrogate District and found that nine organisations 'require improvement'. A number of the organisations had been inspected in 2017 and had their reports published the same year. Included in the nine were five care homes, two at-home health care providers, one private hospital and a North Yorkshire County Council service which helps elderly people, people living with dementia, mental illness, learning disabilities and other physical disabilities.